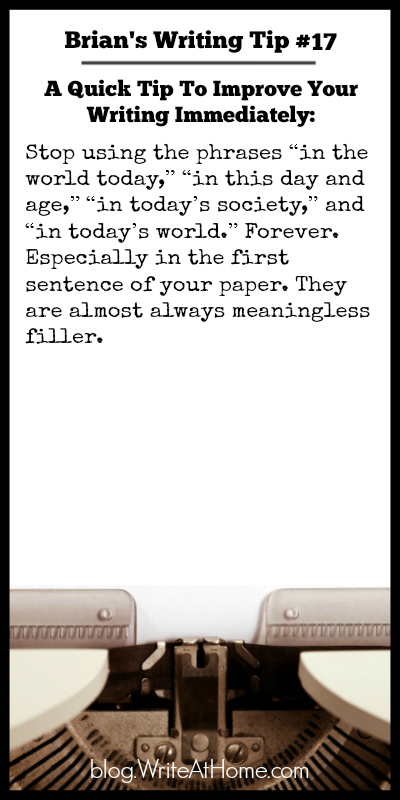 Stop using the phrases “in the world today,” “in this day and age,” “in today’s society,” and “in today’s world.” Forever. Especially in the first sentence of your paper. They are almost always meaningless filler. what do you suggest using instead ? Leave a Reply to senya Click here to cancel reply.